Six of the UK’s most highly-esteemed and experienced rock musicians have joined forces to create Snakecharmer. 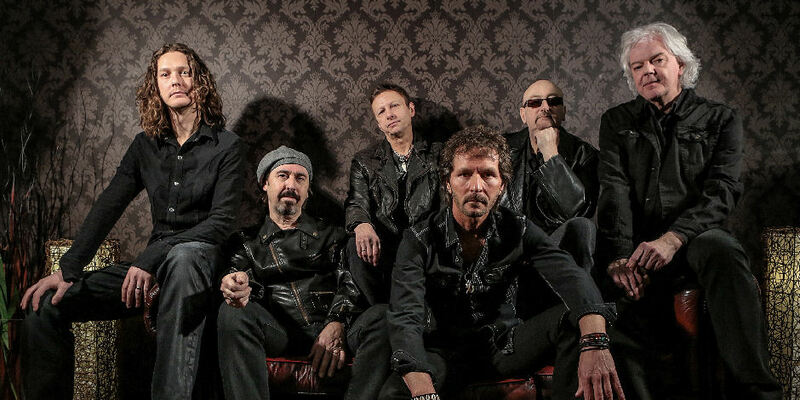 Original Whitesnake members Micky Moody and Neil Murray have teamed up with Laurie Wisefield (Wishbone Ash), Harry James (Thunder, Magnum), Adam Wakeman (Ozzy Osbourne) and Chris Ousey (Heartland) to bring you classic twin-guitar based rock as it should be played. With a live set comprising material from their critically-acclaimed ‘Snakecharmer’ album, coupled with such Whitesnake classics as Ready And Willing, Fool For Your Loving, Take Me With You, Walking In The Shadow Of The Blues and Here I Go Again, Snakecharmer is the genuine article.